Mike Moustakas hit his 37th home run of the season, breaking Steve Balboni’s Royals record, as Kansas City smashed Toronto 15-5. Salvador Perez and Whit Merrifield also went deep and Jakob Junis allowed four runs, two earned, in 6 1/3 innings for the win. Junis upped his season record to 8-2 while improving to 5-0 with a 2.42 ERA over his past eight starts. 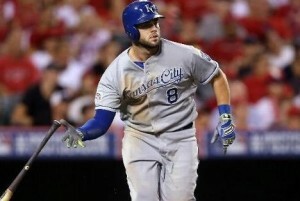 Moustakas went 3 for 4 and broke Balboni’s 1985 record with a solo blast to right in the sixth. The Royals used an eight run second inning to propel on to the win which snapped a three-game losing streak.